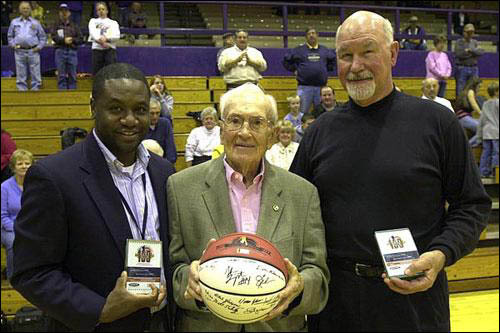 At the halftime ceremony of the 12/19/2006 Granite City game, Coach Vergil Fletcher and Bogie Redmon were honored by the IHSA for being selected to the "Greatest 100 in Illinois State Tournament History." 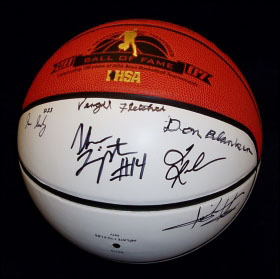 They autographed the "Ball of Fame," which will be raffled off at the State Tournament in March. 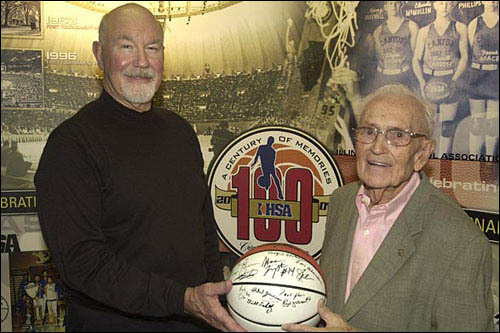 For more about the 100 Legends of the IHSA Boys Basketball Tournament and The Ball of Fame, visit the IHSA website.